Give in to your sweet tooth with this candy coated cottage play set! Loads of luscious lollipops, and colorful candy "buttons". 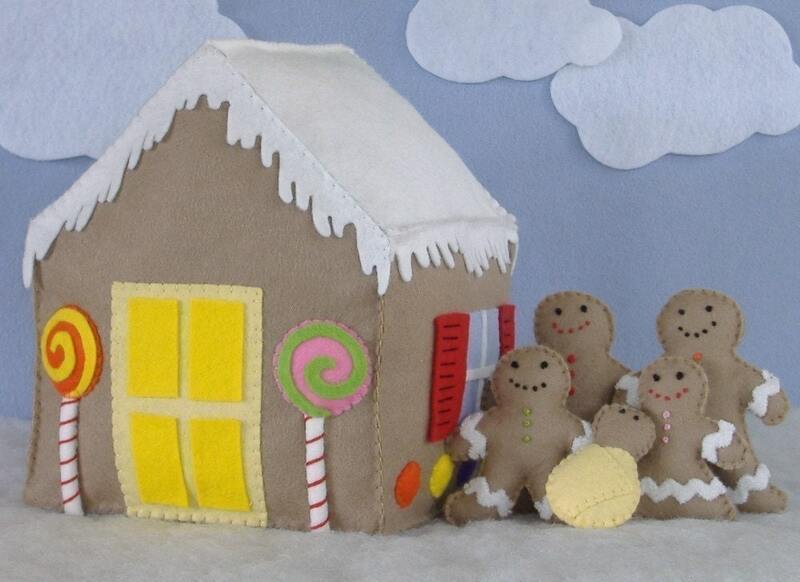 The sweetest gingerbread family lives here- Mom, Dad, Brother, Sister and a bitty little Baby too! Finished measurements of the house are approx 8" tall by 6.5" square. Dad is almost 4" tall.